Back in July of 2012 Twitter introduced a feature to their environment called cashtags and they are used to treat stock symbols similar to hashtags. Instead of inserting the hashtag symbol (#), you replace it with the money symbol ($) and you can see what people are saying about different stocks. 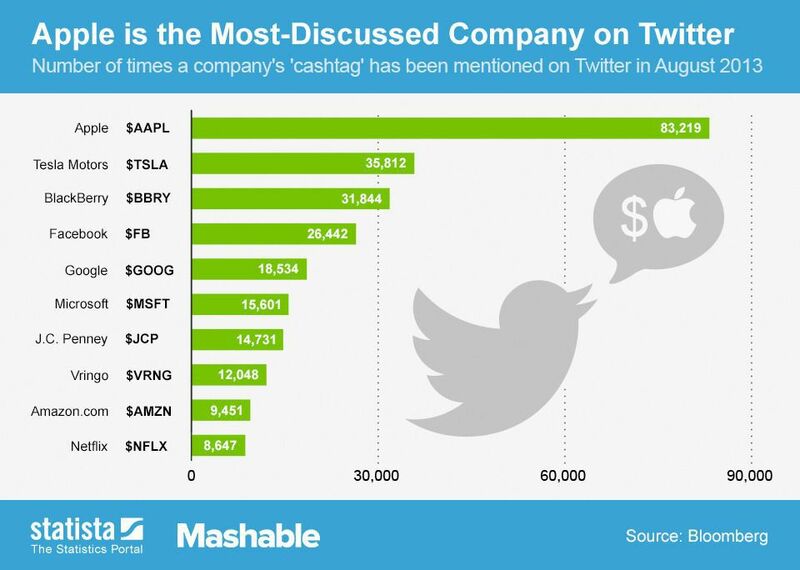 Mashable.com reported earlier this week that Apple’s cashtag ($AAPL) is currently the most popular tag with over 80,000 mentions. Tesla, Blackberry and Facebook are the next in line but have less than 50% as much mentions than that of Apple.